In late April 2011, came the final version of most popular Linux Distro – Ubuntu 11.04 Natty Narwhal. This latest version got mixed response from the operating system user base. Let’s see what new innovations and feature additions caused such contradictory views and reviews. This process has not undergone significant changes and still is a model of brevity and simplicity. Moreover, the new installer mechanism now supports updating Ubuntu Disk version already installed on machine. 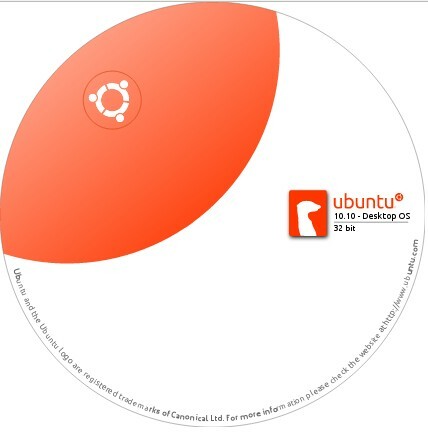 Like previous versions, Ubuntu 11.04 can be installed and used in multiple ways: Full installation on Hard Drive, Trying Live USB / CD or installing on Windows using Wubi. Here lies the difference. Just after first booting of operating system, you will be surprised to see new shell called Unity. Earlier Ubuntu versions used GNOME as default which you may be familiar with while Unity environment was used in special Ubuntu Netbook Edition. Now, both versions are merged together and Unity is used as default shell.However, the good old GNOME is still here, and you can return to it in the menu on the Welcome screen. Unity interface is optimized to maximize the use of the whole screen space and consists of Unity Launcher bar located along the left edge. Main Menu is completely reworked and the narrow upper dashboard not only shows Standard applets but also Window buttons. It is observed that Unity is the main reason behind active rejection of Ubuntu 11.04 while on other hand, some welcomed it enthusiastically. As usual, the next release of Ubuntu includes the latest version of the kernel and basic system modules as well as a large selection of additional software. File manager is still Nautilus enduring minor changes, default browser is Firefox 4 and Office is LibreOffice though it doesnt differ much from OpenOffice. Place of regular media player is allotted to Banshee Media Player, which in addition to the Ubuntu One music shop received the support of Amazon MP3, video channels Miro, as well as the library of audiobooks. Particularly noteworthy, Ubuntu Software Centre, which is a convenient tool with which users can select and install any of thousands of programs available in just a few mouse clicks. The latest version adds a new feature that lets you give the software somewhere evaluation, and leave your comments. In addition, the opportunity to buy and install a paid software, but it is still represented in the main games. The introduction of a new shell Unity, show reviews that Linux-community has taken a very risky move that can cause some users to switch to other distributions. Yes, indeed, at first, it raises questions, however, working some time on Ubuntu, we concluded that the ergonomics of the system is well thought-out and convenient and requires only a certain period of adaptation. Of course, while the full potential of Unity is not disclosed in full. For example, it doesn’t have enough support to start the classic GNOME applets, not all applications use the technology of the Unity Launcher global menu and context menu, but there is no doubt that the developers quickly corrected these deficiencies. In general, testing the Ubuntu 11.04 Natty Narwhal in different situations and tasks, we concluded that the Canonical team to meet the expectations of users and released a stable, comfortable, fast system, confirming the status of Ubuntu as the most friendly Linux-distribution.